Royal Brunei Airlines announced the launching of daily non-stop flights between Brunei and London effective October 28, 2018. The non-stop flights will see passengers enjoying faster journeys with the round trip travel time reduced by 3.5 hours to and from Brunei and 5.3 hours to and from Melbourne. “The introduction of non-stop flights to London Heathrow will be a significant milestone as for the first time Brunei and England will be seamlessly connected by a direct air link. With the strong cultural, economic and political ties between the two Countries, it is only natural to provide the seamless non-stop connection. The through flight via Dubai has served us well however with the demand for more direct routing from our guests, it becomes an important commercial imperative to provide that. The approximately fourteen hour flight will have the very best in inflight service, entertainment and guest friendly features of B787 Dreamliner such as lower cabin altitude, less noise and turbulence to help reduce jet lag. More product and service innovations will be announced later in the year. With the introduction of the daily non-stop flights to London, Royal Brunei Airlines will cease operating the Dubai-London-Dubai route.The airline will however continue to provide the vital link to the GCC via Dubai and offer four times weekly Brunei-Dubai-Brunei services effective October 29, 2018. 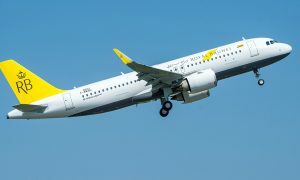 With these changes, Royal Brunei has also updated its schedule for its Melbourne flights to cater for better connections within its long haul route network.